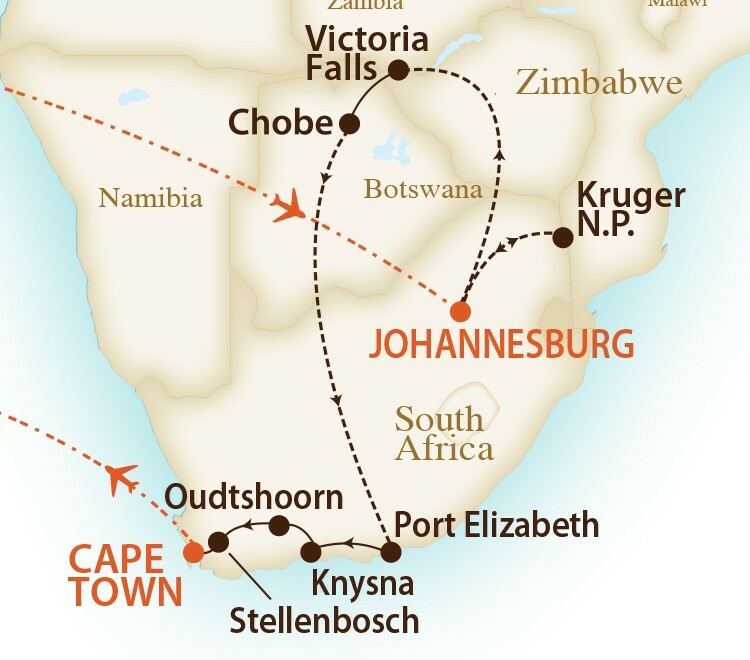 Day 1 - October 16 / Wednesday DEPART CANADA FOR SOUTH AFRICA Meet our tour host at the Toronto airport for your flight with KLM bound for South Africa via Amsterdam. Day 2 - October 17 / Thursday	 JOHANNESBURG, SOUTH AFRICA Upon arrival in the evening you will be met and transferred from the international airport to your hotel located by the airport. Accommodation: SOUTHERN SUN or similar (1 night). DAY 22 – November 6 / Wednesday	 AMSTERDAM - CANADA Upon arrival in Amsterdam you will connect with another KLM flight back to Canada. 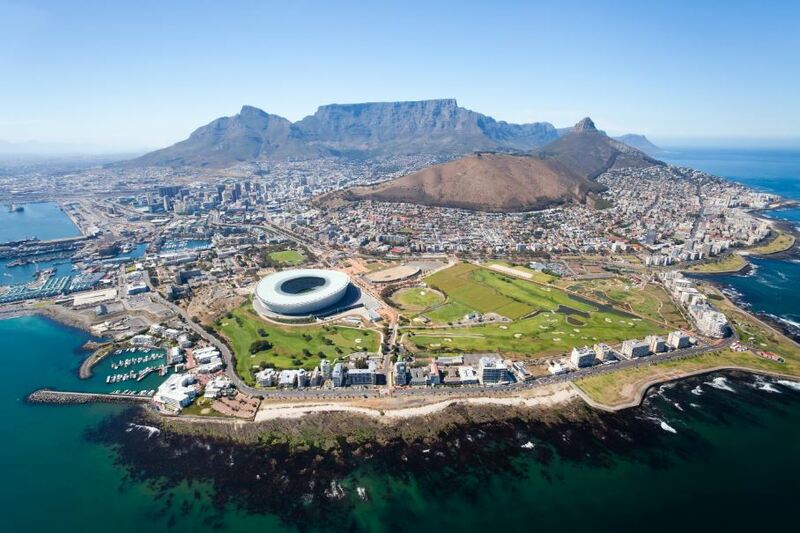 Return airfare from TORONTO with KLM, including all flights within Africa. 12 Nights first class hotel accommodation. Fully guided sightseeing as per our itinerary. 7 Nights first class lodge accommodation. Tipping for local guides/game rangers and drivers. All departures taxes and fees. 12 Lunches and 14 Dinners. Hosted by Expo Cruises & Tours. Deposit of $1,500 per person is required to secure your space. Please note a penalty of $250 per person will apply prior to your final payment which is on due on JULY 10th. Please Note: Entry visa is required for Zimbabwe, currently it can be obtained at the border upon entry into Zimbabwe.